SS Rajamouli’s magnum opus Bahubali 2 movie touched upon numerous genres – action, romance and family drama. Be it the spiteful kinship between two brothers – Baahubali (Prabhas) and Bhallaladeva (Rana Daggubati), or Bahubali’s love-hate relationship with his mother, Rajamatha Sivagami (Ramya Krishnan) or the romantic husband and wife bond portrayed by Prabhas and Anushka Shetty – everything got us glued to this cinematic gem. The reel life family created by Bahubali movie cast and crew has made us feel incredibly special and stand out. Now with Baahubali 2: The Conclusion has come to an end, the actors are busy enjoying their ‘Me-Time’ with their real-life family members. Bahubali 2 movie box office collections are shattering new records with every passing day, be it worldwide or with the Hindi version. Celebrating the stupendous box office success of Bahubali 2, we take a look at the happy families of main characters from the Indian fantasy epic film. Prabhas brought SS Rajamouli’s imagination of a mighty warrior king, Amarendra Baahubali and his equally majestic son, Mahendra Baahubali alias Sivudu to life. Just like his on-screen family oriented avatar, Prabhas in real life is a family man. His father is famous Telugu producer, Uppalapati Surya Narayana Raju and mother is Siva Kumari, who the superstar credits for his attractive and pleasant personality. Prabhas is youngest of three children – elder brother, Pramod Uppalapati and sister Pragathi Uppalapati. The 37-year-old is yet unmarried, but that does not deter fans from discussing his romantic life at length. Anushka Shetty wowed the audiences with her beauty and iron-willed persona as Maharani Devasena. Her crackling chemistry with Prabhas made the fans secretly hope the two became a couple in real life. The 35-year-old Anushka hails from a non-filmy background born to father A.N. Vittal Shetty and mother Prafulla Shetty. She has two brothers, Gunaranjan Shetty and Sai Ramesh Shetty, who is a cosmetic surgeon. Rana Daggubati breathed life into the character of the mighty villain of Bahubali franchise, Bhallaladeva. Rana belongs to the famous Daggubati-Akkineni superstar filmy family. His father, Daggubati Suresh Babu, is a renowned Telugu film producer, studio owner and distributor and managing director of Suresh Productions. His mother’s name is Lakshmi Daggubati. 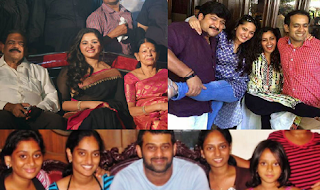 Rana has two siblings – brother, Abhiram and sister, Malavika. She played the role of beautiful yet fiery warrior Avantika who plays the crucial role in bringing Mahendra Baahubali closer to his real identity. In the first film, Baahubali: The Beginning, Tamannaah is the reason Prabhas’ character finds the motive to seek out the reality, the truth of Mahishmati and his bloodline. The milky-beauty Tamannaah Bhatia is of Sindhi descent. She was born to Santhosh Bhatia, a diamond merchant and Rajani Bhatia. She has an elder brother, Anand. Her arched eyes, mighty walk, bold voice – Bahubali presented a compelling female character in the form of Rajamatha Sivagami cinephiles would remember for ages. The actress who did absolute justice to Sivagami’s role is Ramya Krishnan. The 46-year-old played mother two of the strongest male characters Indian cinema has witnessed without losing her identity or presence. Ramya in her real life is a mother of son Ritwik Vamsi from her director husband, ‎Pasupuleti Krishna Vamsi‎. Sathyaraj will be forever our beloved Kattappa. Playing a complex character of loving and caring father figure to Bahubali, he does not shy away from his duty of a slave even that involved killing Bahubali. The main reason behind this decade’s biggest cliffhanger – Why Did Kattappa Kill Baahubali?, Sathyaraj in real life is an absolute family man. He is married to Maheswari Subbaiah, with whom he has a son named Sibiraj and daughter Divya Subbaiah. Sathyaraj is also a proud grandfather of Sibiraj’s son, Dheeran. Let’s be honest, Bahubali film got you hooked the moment you saw the digitally modified paralysed hand of Nassar as Bijjaladeva. He played the role of equally evil-minded father of main antagonist Bhallaladeva essayed by Rana. Nassar has been one of the finest character actors who take the quality of a film by few notches up. We have seen him in a range of roles from villainous to fatherly figures and in blockbuster Baahubali franchise, a combination of the two. Nassar in real life is married to Kameela and has three sons – eldest Noorul Hassan Faizal, Luthfudeen Baasha and Abi Mehdhi Hassan. While his eldest son is a gaming designer, the other two are into acting. 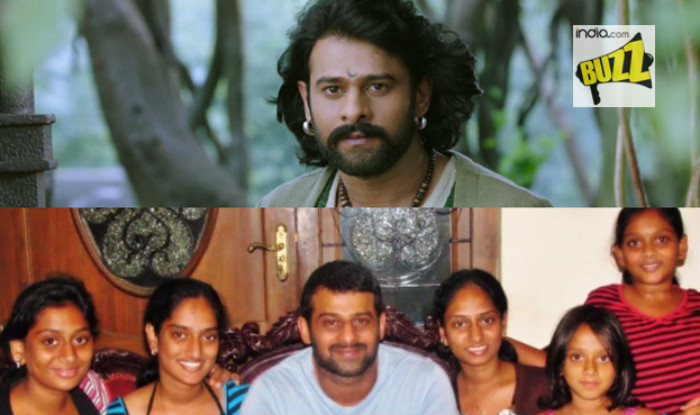 Bahubali 2 Actor: Prabhas, Anushka Shetty & others’ pictures with their real life family members Baahubali (Prabhas) and Bhallaladeva (Rana Daggubati), or Bahubali’s love-hate relationship with his mother, Rajamatha Sivagami (Ramya Krishnan) or the romantic husband and wife bond portrayed by Prabhas and Anushka Shetty – everything got us glued to this cinematic gem.